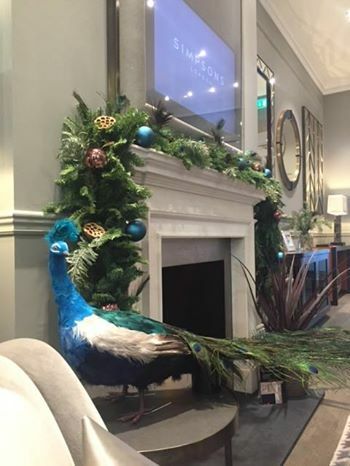 The luxury showroom of Simpsons Mirrors, Chelsea Harbour, London requested a visit from Charles our regal peacock over the Christmas season and into the new year. "He has been an utter delight to have and has filled our showroom with joy and sparkle throughout the festive month of December. so thank you for arranging for us to have him over this time." "I have attached some images of him having much fun. One in the window ( quite the showstopper ) and making friends ( such a socialite!) , and one by the fire looking very regal. He also became the star of our Christmas cards"
Newer PostEekk we made it in a mag!